Twenty-seven percent of mTBI patients with a normal CT scan showed evidence of abnormalities on brain MRI. MRI may be better than CT scans at predicting whether patients with mild traumatic brain injuries (mTBI) are likely to have persistent neurologic problems, according to the results of a clinical trial published in the December 2012 Annals of Neurology. Approximately 15% of patients with mTBI have measurable neurologic deficits at one year after injury, but clinicians have no definitive method of predicting patient outcomes. To address this clinical need, Esther Yuh, MD, PhD, Assistant Professor in Residence at the University of California, San Francisco, School of Medicine, and her colleagues examined the potential of MRI to predict patient outcome three months after mTBI. The researchers prospectively followed 135 patients who were evaluated for acute head injury in the emergency departments of three level I trauma centers—San Francisco General Hospital and Trauma Center, the University of Pittsburgh Medical Center, and the University Medical Center Brackenridge in Austin, Texas. These centers were part of the Transforming Research and Clinical Knowledge in Traumatic Brain Injury study (TRACK-TBI). Patients came from highly diverse socioeconomic backgrounds, had few exclusion factors, and ranged from age 15 to 86, with a mean age of 40. 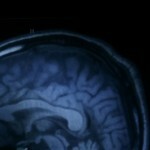 All patients underwent CT scans when they were admitted, and early brain MRI was performed approximately a week later. The investigators used univariate and multivariate logistic regression to determine demographic, clinical, socioeconomic, CT, and MRI features that predicted outcomes at three months following the brain injury. Outcomes were assessed with the eight-point Extended Glasgow Outcome scale, a well-validated summary assessment suitable for clinical trials. Multivariate models of the three-month outcome scale were analyzed based on three sets of predictive variables. The first set examined only clinical, demographic, and socioeconomic variables, the second set incorporated head CT features, and the third set used all the preceding variables, as well as brain MRI features. Evidence of subarachnoid hemorrhage on CT was associated with a multivariate odds ratio of 3.5 for poorer three-month outcome, after accounting for demographic, clinical, and socioeconomic factors, said the researchers. However, 27% of patients who were admitted with normal head CT had an abnormal early brain MRI. After adjusting for head CT findings and demographic, clinical, and socioeconomic factors, the investigators found that one or more brain contusions and four or more foci of hemorrhagic axonal injury on MRI were each independently associated with poorer three-month outcome. Multivariate odds ratios were 4.5 and 3.2, respectively. This work raises questions of how we’re currently managing patients via CT scan,” said senior author Geoff Manley, MD, PhD, Chief of Neurosurgery at San Francisco General Hospital. “Having a normal CT scan doesn’t, in fact, say you’re normal,” he added. Each year, at least 1.7 million Americans seek medical attention for acute head injuries, and 75% of those injuries are mTBIs, most with mild symptoms such as temporary loss of consciousness, vomiting, or amnesia. The majority of patients with mTBI recover fully, but approximately one in six eventually develop persistent and sometimes permanent disability from the injury. In the past, some socioeconomic factors have helped to predict disability, but Dr. Yuh’s study shows that an imaging feature can help to predict the rate or extent of a patient’s recovery. According to Dr. Manley, this study represents an important step toward developing a more quantitative, precise method of evaluating, monitoring, and treating patients with mTBI. At present, performing routine brain MRI on mTBI patients may not be cost-effective, but smaller and less-costly MRI scanners that examine only the patient’s head are in development. Furthermore, continuing advances in the MRI field may eventually reduce expenses to a manageable level. The study’s strengths are its greater specification of types of lesions that may predict outcome, control for other predictors, multicenter patient sample, and use of TBI Common Data Elements to categorize the imaging results, the investigators said.